This special evening is a meditative experience as we raise vibrational frequencies through group chanting and invoking the Divine within. 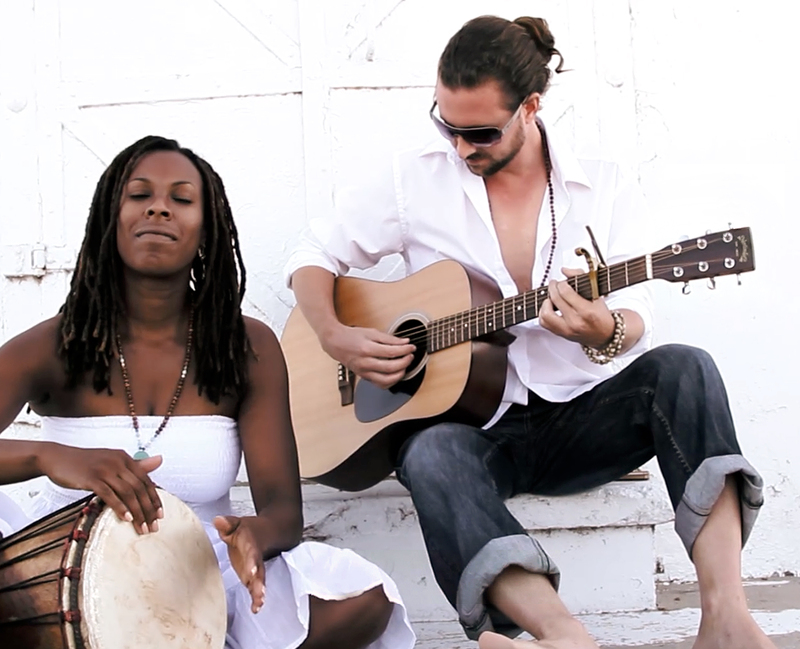 International touring artists Mahapurna--John Willaim Bauld (MahaDeva) and Shonna Brown (Annapurna)--mix soulful, adult contemporary music with Sanskrit Mantra. Experience the uplifting energy of live Kirtan (call and response chanting). This loving duo will lead you on a soulful journey to the heart with their harmonious and inspirational music. To create community, healing, empowerment, and wellbeing through the universal language, vibration, and sound dynamics of song and music. These sacred vibrations are healing, relaxing, joyful, and transformational, instilling your entire being with bliss absolute! John and Shonna also teach classical yoga, and are musicians who share the practice of Bhakti Yoga (The Yoga of Loving Devotion) through Kirtan and devotional songs.